This implies that all products and services delivered are backed by our stringent Quality Management System that has been implemented in each and every process. We believe that this is only the beginning of our journey in our endeavour to achieving Total Customer Satisfaction. 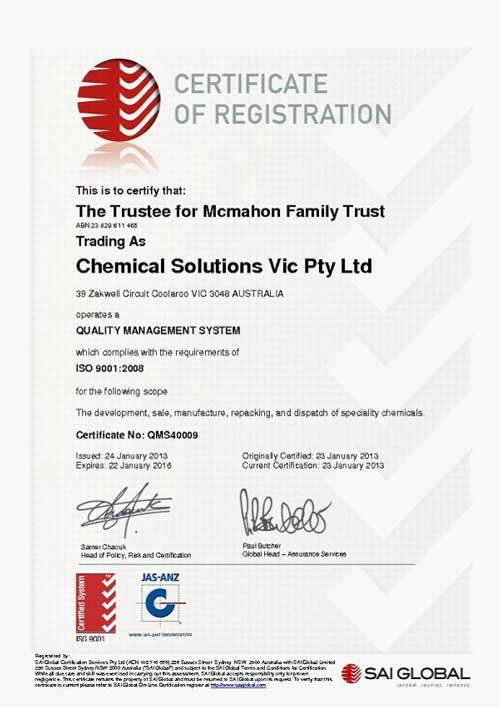 Chemical Solutions Pty Ltd will continuously improve services with the aim of exceeding our customer’s expectations. We have excellent quality system in place, with all goods being QA checked from time of entry, through to every process they enter and final inspection then takes place.